Sometimes she remembers running, hunger, and isolation. But other times she remembers living with a German family, and attending big rallies where she was praised for her light hair and blue eyes. The puzzle pieces don't quite fit together, and Nadia is scared by what might be true. Could she have been raised by Nazis? Were they her real family? What part did she play in the war? 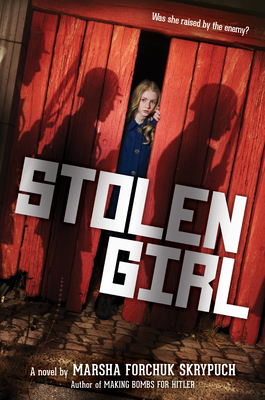 Inspired by startling true events, Marsha Forchuk Skrypuch delivers a gripping and poignant story of one girl's determination to uncover her truth.